The start of a new year brings forward the idea of New Year's resolutions. Eating healthier is one that often tops the list for many people, and a big food trend this year is to adopt a more plant-based diet. Plant-based diets are gaining in popularity, where vegetables, grains, nuts, legumes and fruits make up a majority of the diet. While I'm not moving towards a plant-based diet, I definitely appreciate the movement as I'm learning to incorporate more pulses as a source of protein in my diet. After all, Alberta is rich in pulses - we are one of the biggest pulse producers in the country! 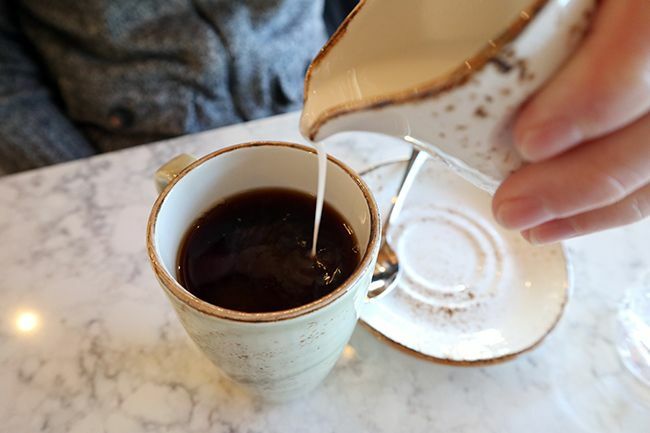 Just east of the downtown core, amidst the revitalization of the Quarters, a new plant-based cafe has opened up in the space formerly occupied by Trang Tien. 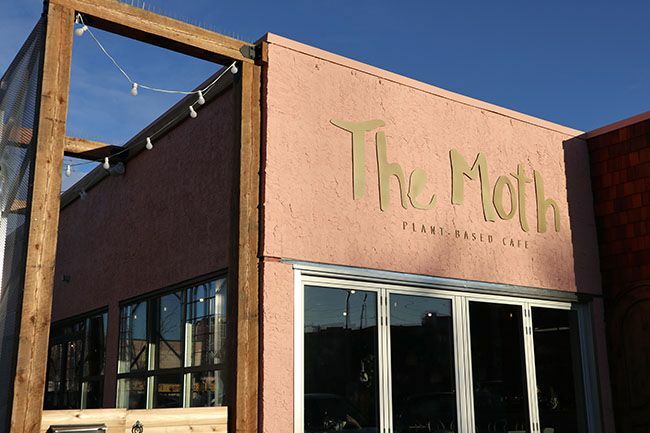 The Moth Cafe is the little sister to vegan and vegetarian restaurant Cafe Mosaics, but The Moth differs with it's focus on plant-based food and drink and healing elixirs made with nutritious raw ingredients. Walking through the arched doorway into The Moth, the space is bright and inviting with accents of exposed brick and greenery. 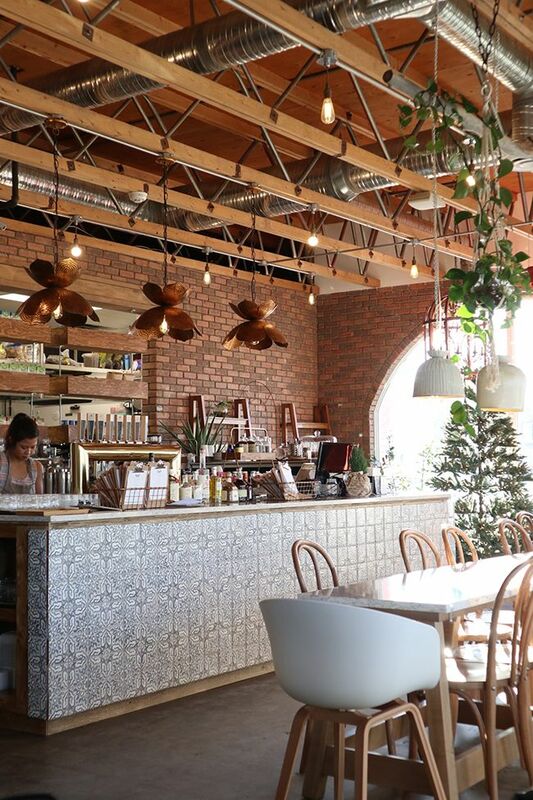 Any remnants of the family-run Vietnamese restaurant are gone and replaced with a beautifully tiled counter space, marble-top furniture, and a cozy lounge area complete with seating suspended from the ceiling. 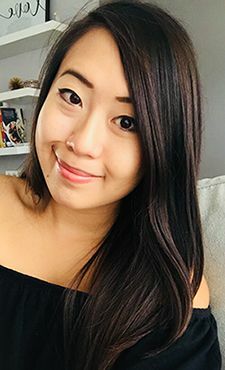 I will admit that I am not a person to go out of my way to eat plant-based food - I've actually had some previous bad experiences at vegan restaurants, which has steered me away from them. But I'm always willing to give things another shot, and The Moth answered the call. I have stopped by The Moth on two occasions now, the first of which was for lunch on a weekday. My fiance and I were pleasantly surprised by how busy the cafe was, given that they had only opened their doors a few days prior, but that's always a good sign. The menu can appear overwhelmingly long, but three quarters of the pages were dedicated to teas, elixirs, and other blended drinks. We chose to start with some smaller bites and ended up with a main dish to share. We started with the Gluten-free Jackfruit Crabcakes ($12) which arrived as a plate of four with a light citrus cream for dipping. One of the things I truly admire about vegan cuisine is the use of a variety of different ingredients for texture, and the jackfruit really worked for this dish. 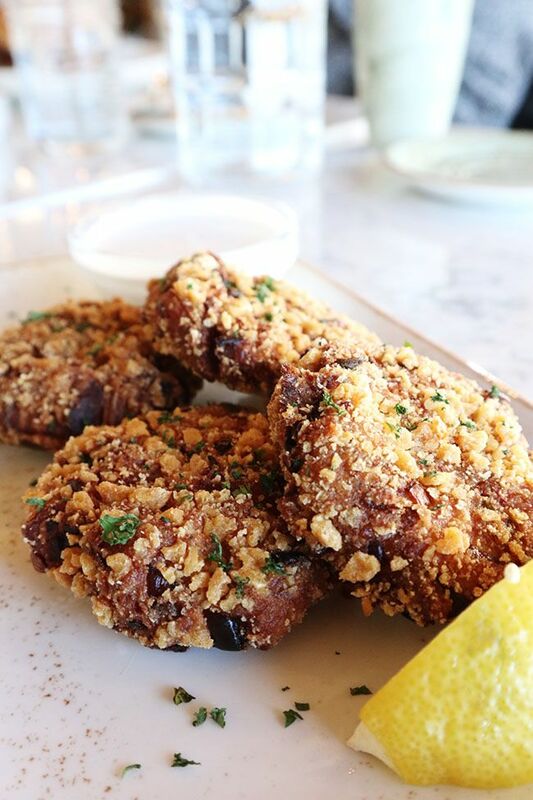 While the texture differed from a traditional crab cake, the ingredients held together nicely and gently flaked apart with each bite. The cakes were flavourful on their own with their crispy exterior and kick of heat, but the citrus cream gave it that extra little zing. 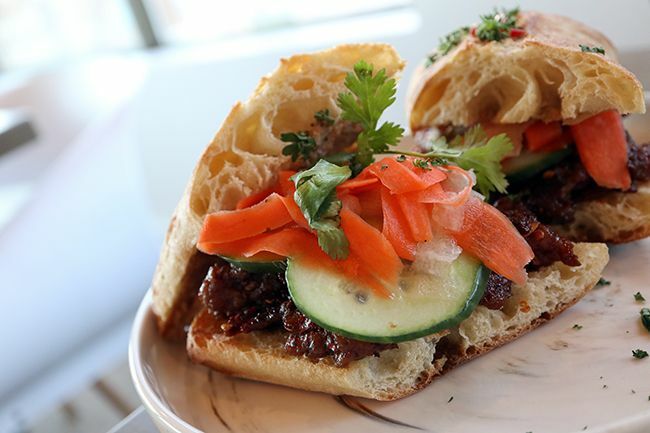 The name makes this dish sound less appealing, but the Moth Banh Mi ($10) was a truly delicious homage to the traditional Vietnamese sub. Sandwiched within the crispy baguette was a delicious vegan mutton made primarily of soy protein and mushrooms. The texture of the mutton really did mimic that of meat and there was so much umami in each bite. The mutton also packed a generous amount of heat, which was balanced by the the lentil paste, pickled carrots and cucumber. I loved The Moth's banh mi, and would almost pick it over my usual banh mi. The menu featured two noodle soups, so as a self proclaimed noodle soup lover it wouldn't be right if I didn't give them a try. 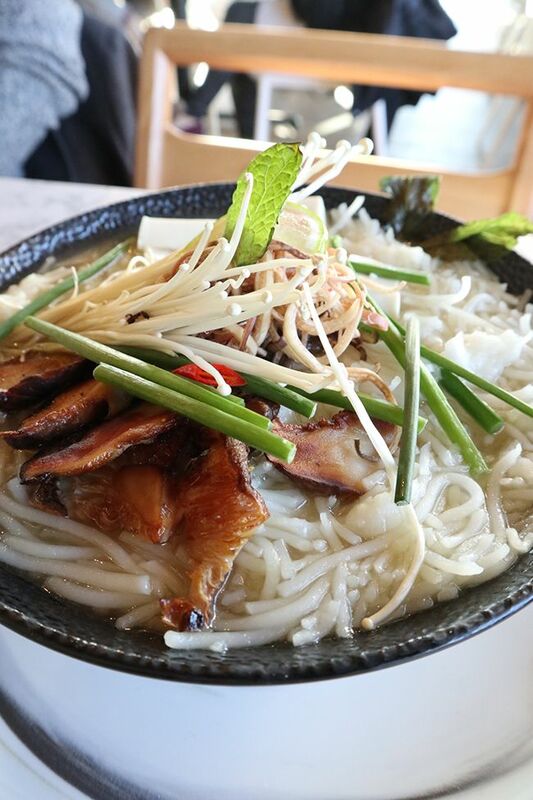 We chose the Banana Blossom Shiitake Miso ($15) noodle soup, which came topped with meaty shiitake mushroom slices, chives, sliced banana blossom and silken tofu. We were surprised at just how large the portion was - it was quite the substantial meal for one person. After the first few bites of the noodles it became evident to us that our bowl probably wasn't prepared properly. The clear broth had a predominant lemongrass flavour, overpowering any trace of miso, and all the rice noodles in the bowl were broken into short 1 inch pieces. I was fairly certain no miso had been added to the broth, and the bowl was pretty difficult to eat using the chopsticks provided. We looked around the restaurant at others who had ordered the same bowl and their noodles were long and easy to pick up, leading us to our conclusion. The noodle soup wasn't bad, but had the preparation been executed properly I'm sure I would have enjoyed it much more. On our second visit to The Moth we found ourselves seated for breakfast shortly after the cafe opened. We were the first customers for the day, but soon after the room started to fill up even on one of the coldest mornings this winter. I wanted something hearty to kick off my day so I ordered the Moth Breakfast Bowl ($15). 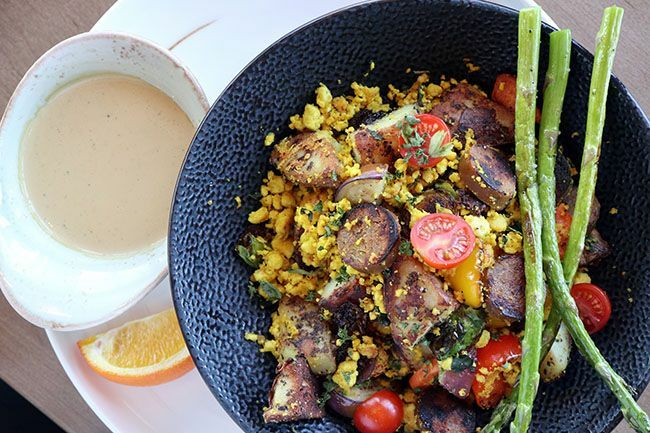 The colourful breakfast bowl was filled with roasted vegetables (eggplant, mushroom, peppers, brussel sprouts, asparagus), fresh cherry tomatoes, soy-based sausage, and an egg-like crumble. On it's own the bowl was comforting, but the cashew sauce on the side really brought the dish together. Think of it as vegan hollandaise and you'll understand why I poured it all over the contents of my bowl. 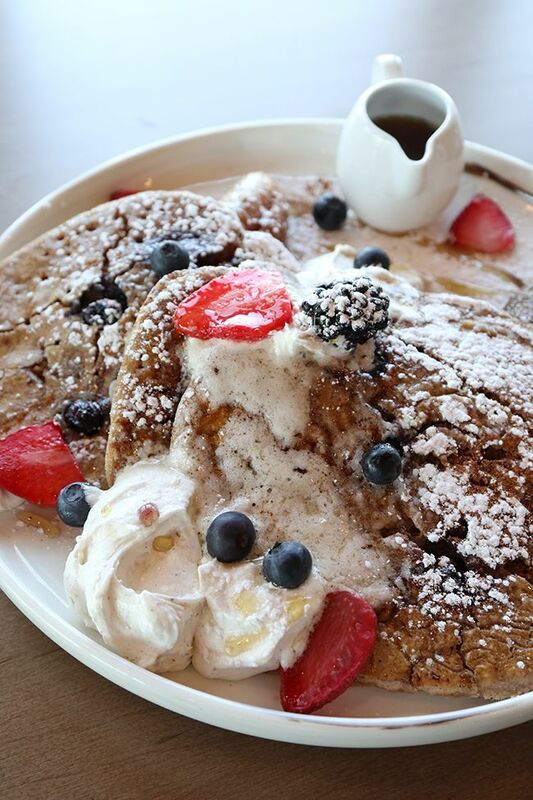 Gordon opted for the Gluten-free Chai Pancakes with Cinnamon Banana ($15) and extra blueberries. The portion of fluffy pancakes was more than generous and sweetened perfectly with the side syrup and bananas. He did find the whipped 'cream' to be a bit too sweet for his liking, making the bites with all the components together a bit too rich. The Moth Cafe is a great addition to the Quarters and will hopefully appeal to the diverse residents that the community currently serves. 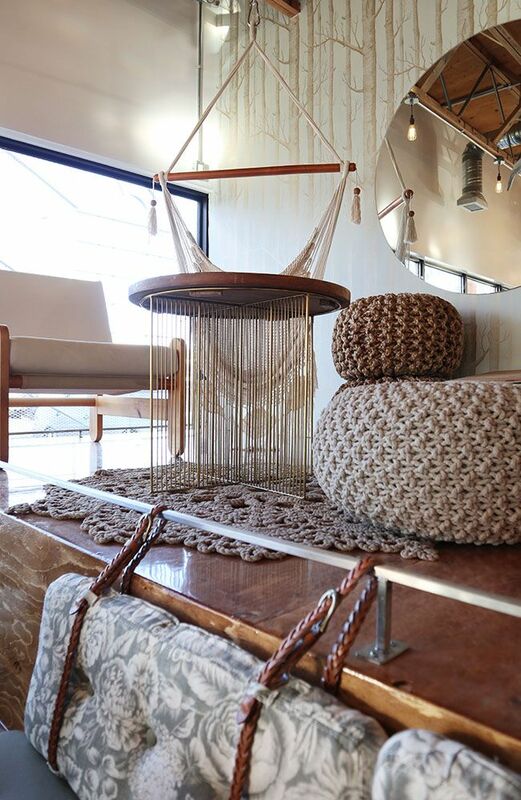 The prices are affordable and the space has a relaxing vibe, which makes it a perfect setting for a coffee or bite to eat at any time of day. Gordon and I were actually quite surprised at how long we were satiated after each visit, and we really didn't miss the meat at either meal. Both of my visits have been pleasant and have left me excited to return again in the future. So if you're hesitant to try plant-based, give it a shot! It may surprise you, like it did me.